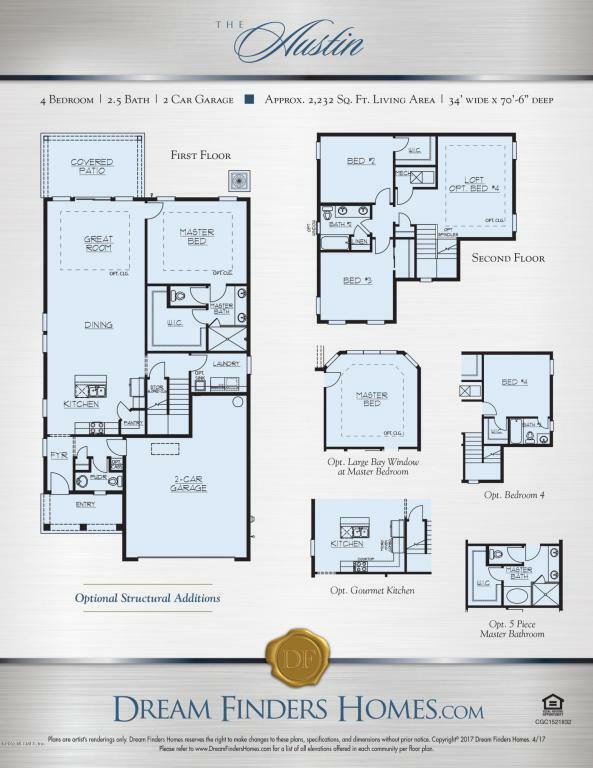 **MOVE-IN READY** AUSTIN ''B'' ELEVATION. Sample Photos Only. 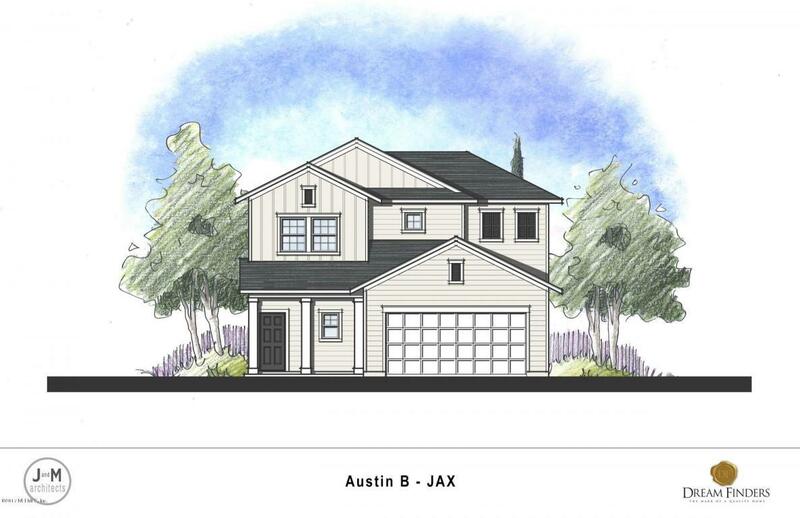 The AUSTIN has Lap Siding exterior with Board and Batten accents. It has a 2 car garage, 3 bedrooms plus a loft with 2 1/2 baths and MASTER on first floor. This home will feature many extras such as a Single Step Tray Ceiling in the Great Room and Master Bedroom, 9080 Sliding Glass Door in the family room, Gourmet Kitchen has Double Ovens and bump up cabinet over microwave. Upgraded Quartz Counter tops, Upgraded White 42'' Cabinets, SS appliances, beautiful California Island and lots of recessed lights. Frameless Shower enclosure in master, Tile flooring in all living areas. This home is built with the Zip System for a superior seal against moisture.Access to ALL Eagle Harbor Community Amenities - Our community amenities consist of Northeast Florida's largest soccer complex with 12 well-maintained fields, a tennis facility containing 12 Har-Tru courts staffed by USPTA professionals, and an 18-hole championship golf course including a full service pro-shop and restaurant. Recreation amenities include three aquatic centers. The Swim Park is a 10,000 square foot pool with sand beach area. This 2.5 million dollar super pool contains 350,000 gallons of water, a 110" water slide, diving boards, sand volleyball court and Snack Bar. The Swim Park was the first pool facility built in 1993. Waterfront Park has four pools within the facility including a year-round heated lap pool for adults (all residents in winter) and aquatic classes, a frog splash pool for young children, an aquatic play feature and a zero depth entry family pool for everyone to enjoy. The Waterfront Park is our main operational hub for all event, activity, program and class registrations. Waterfront Park was the second pool facility built in 1999. The Creekside Park is our newest facility, built in 2005, and has a unique log cabin appeal. This pool is nestled between a wildlife preserve and Black Creek - it's truly amazing! Creekside has two pools within the facility to include a family pool and a toddler splash pool. The lanai is a beautiful screened in patio with tables and chairs and a fully equipped kitchen. This facility is a prime location for parties! Lick Skillet is an old hunting cabin from the mid 1950s that is now used for camps, fitness classes, party rentals and special events. The cabin is located on a 22-acre nature preserve surrounding two beautiful ponds.